SPRING, SUMMER & FALL - What's to do when our snow melts? Powder Hound is located on the Black River that flows 12 miles to Black River Harbor at Lake Superior. There are 5 stunning waterfalls along the way. Superior Falls and Gabbro Falls are also a short drive away. Hiking and biking in the Ottawa National Forest, North Country Trail and Copper Peak draw visitors. We'll share hidden spots or point you in the right direction for a day trip of hiking, biking, swimming or boating or off road trails for ATV/ORV fun. Black River Scenic Byway is often featured along with hot spots like Little Girls Point, Lake of the Clouds and Presque Isle State Park, Copper Peak Adventure Ride and Ski Jump and the Porcupine Mountains. Here is an article that takes you on a Fall Color Tour. 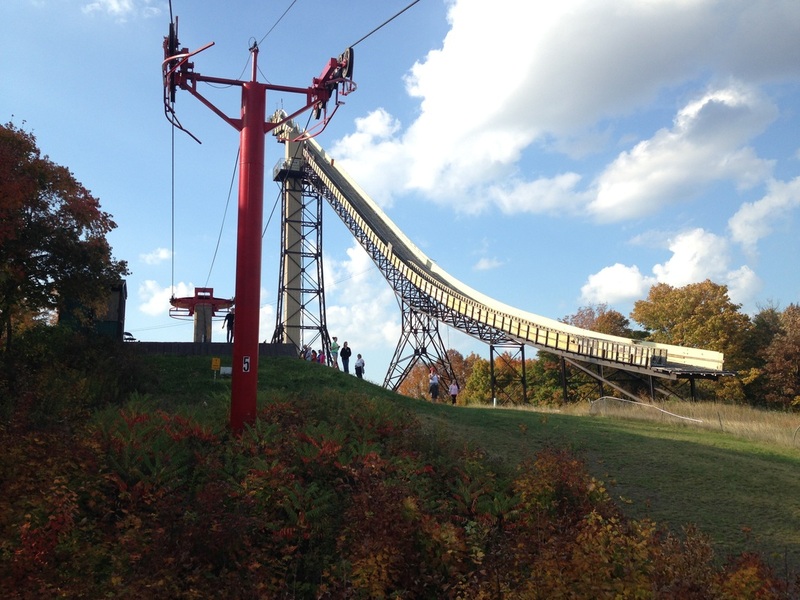 Copper Peak Ski Jump - just 3 miles up Black River Road from Powder Hound Lodge offers a 360 degree view (2,600 square miles on a clear day) from 1,782 above sea level. Check out the link for pics and details. plus thousands of miles of National & State Forest trails, logging roads, gravel forest roads, bike, snowmobile and xc ski trails to ride. 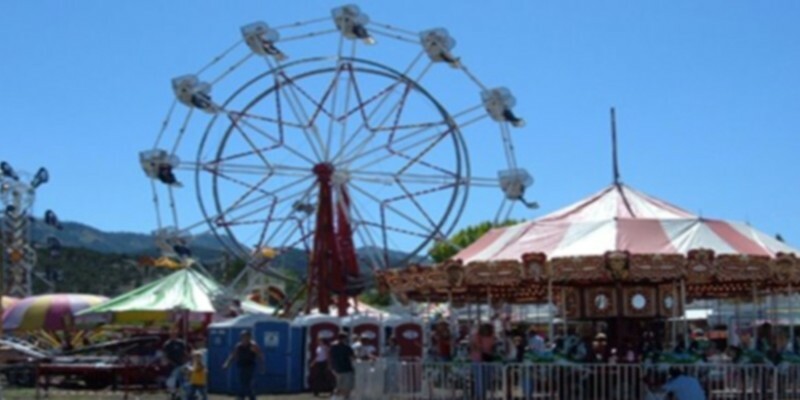 Enjoy small town charm and a true hometown 4th of July festival as we celebrates “Bessemer Blast 2014” A week-long activity - You will find games, mud run, hometown run with tot trot, craft fair, outdoor card tournaments, relay races, karaoke, street bowling and the best parade and fire works in the upper mid-west. In fact, our parade was identified as one "of the best Independence Day parades in the country" by the website Holidays Central. You can read the article here. And don't forget to get your 50/50 raffle tix while you're here !! Follow on facebook for event details for the week-long celebration! 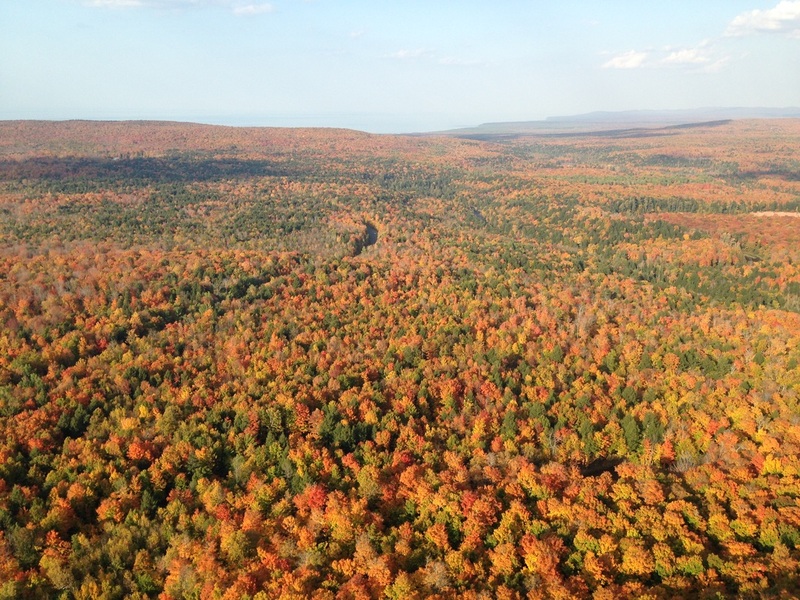 Apple Picking, waterfalls, lake superior, lake of the clouds all fall highlights in the Western U.P. March is the month for Ice Caves and the ice freezes only some winters enough to walk out to the caves. Located in the Big Powderhorn ski resort Bavarian style ski village. Free Shuttle to ski resort and restaurants on winter weekends. 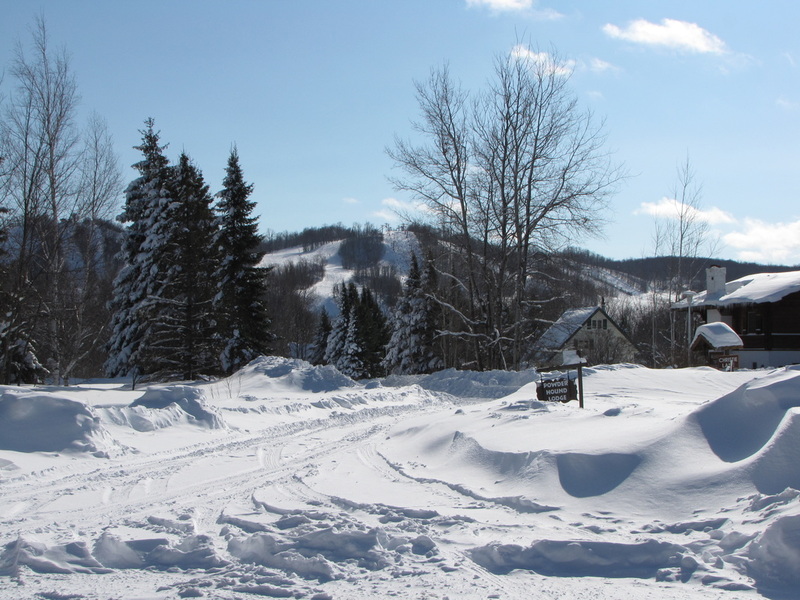 Snowmobile Trails open December 1. 2 Trail accessible from the Lodge using Powderhorn Road trail. Or trailer to back country riding nearby. Michigan Trail passes required and available at BP (Bessemer) and Holiday (Ironwood) Gas Stations on Hwy 2. **** Please stay on trails. Riding on Private Property results in clubs losing access for our trail system. **** Thank you. Ski/Snowboard Big Powderhorn right out the front door. Plenty of parking at resort 4 blocks away and free shuttle from Lodge if you prefer a ride there and back. Indianhead & Blackjack 2 resorts nearby with 1 lift ticket for both resorts.